Posted April 5, 2017 2:35 pm & filed under Berkeley Gardens, Science. 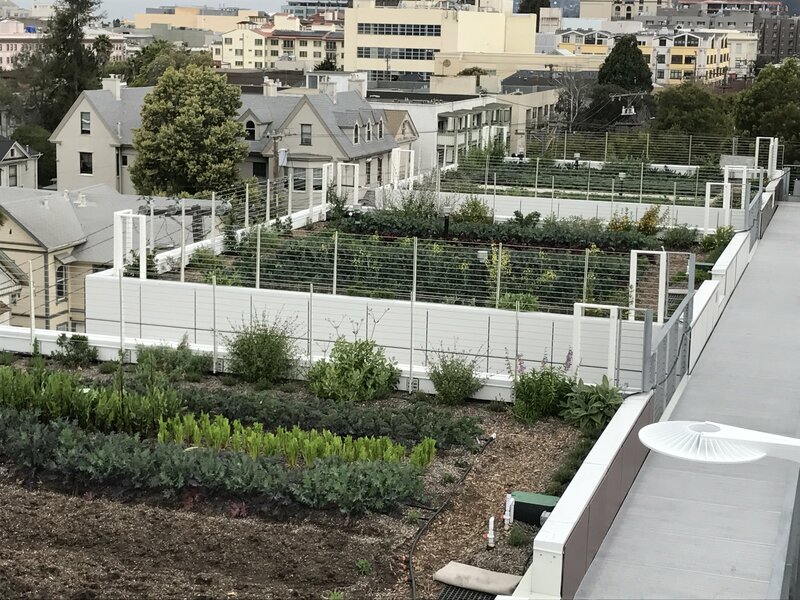 Apparently we not only have our local Urban Adamah urban farm, on land, but we now have at least 2 new roof-top urban farms in Berkeley. Whatever challenges a rooftop presents, though, are not apparent to a farming novice visiting the roof on Dwight. One can walk through numerous terraces and see neat rows of crops growing; it looks no different than a regular farm, except for the fact that you can also see the tops of nearby office buildings and past those, the Bay Bridge in the distance.